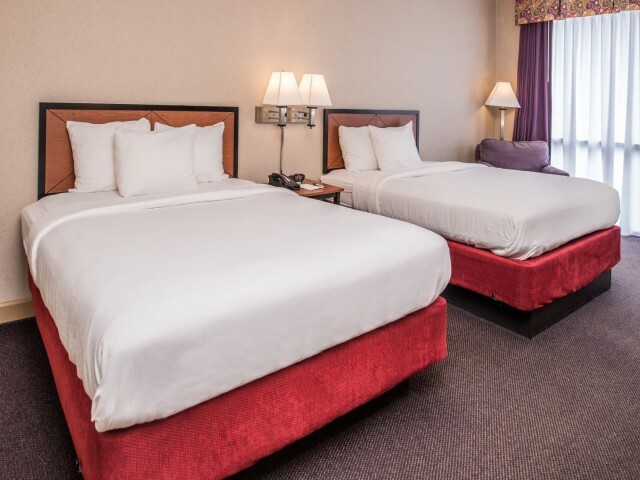 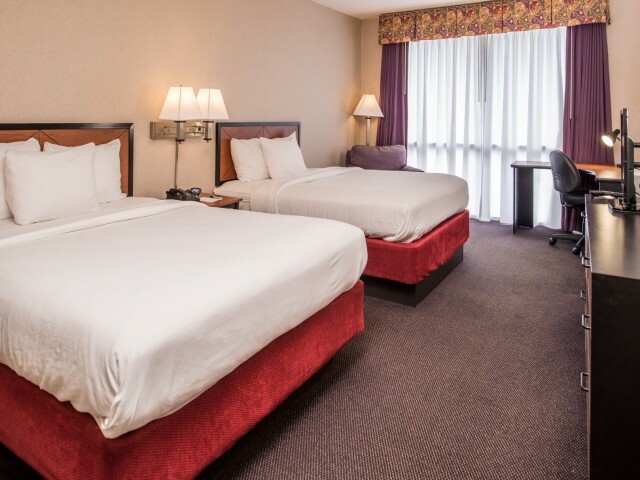 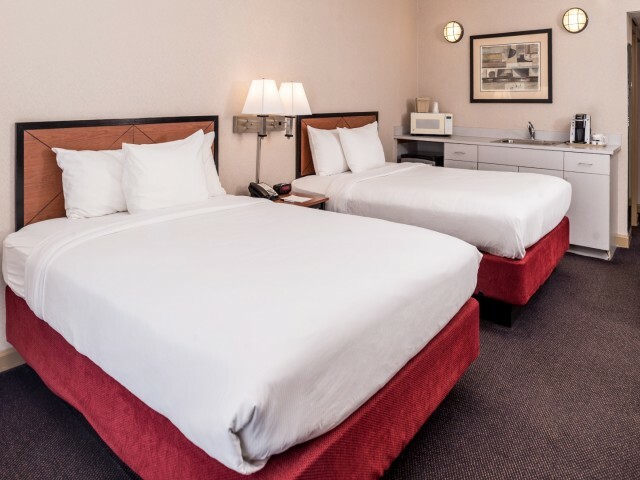 The 2 queen bed non-smoking room comfortably accommodates up to 4 guests. 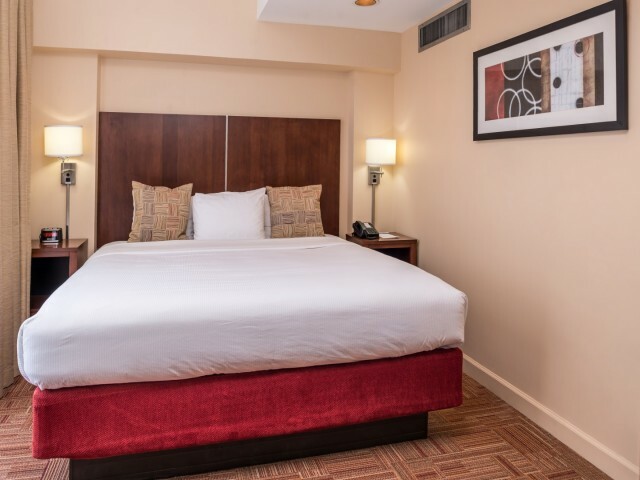 This spacious room is equipped with a with flat screen TV with premium cable channels, complimentary WiFi, climate control, a microwave and refrigerator, a table, an alarm clock, room safe, an iron, a private bathroom fitted with a hairdryer and complimentary toiletries. 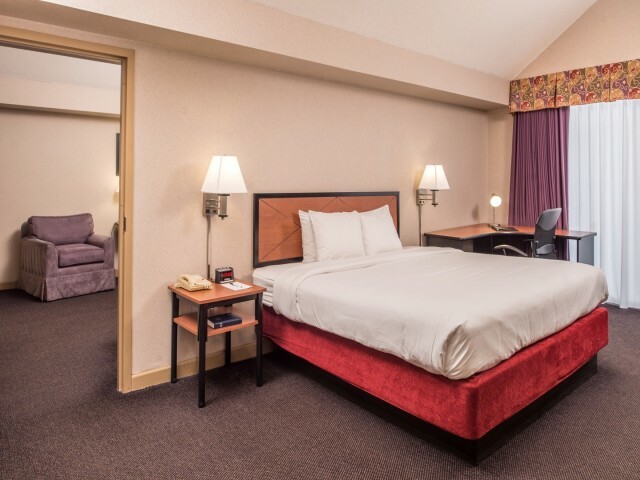 Our 2 queen bed suite non-smoking features a kitchenette and a living room. 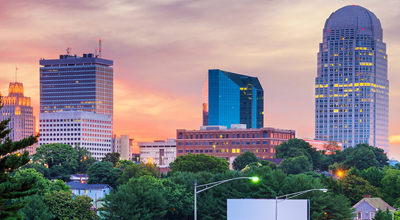 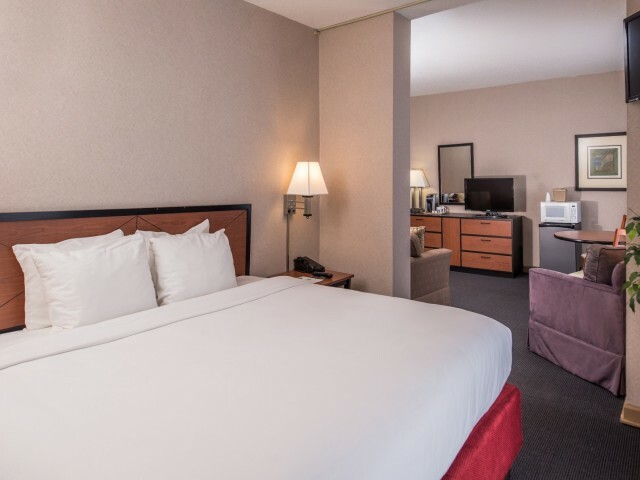 This spacious suite can comfortably accommodate up to 6 guests and is equipped with a with flat screen TV with premium cable channels, complimentary WiFi, climate control, a microwave and refrigerator, a table, an alarm clock, room safe, an iron, a private bathroom fitted with a hairdryer and complimentary toiletries. 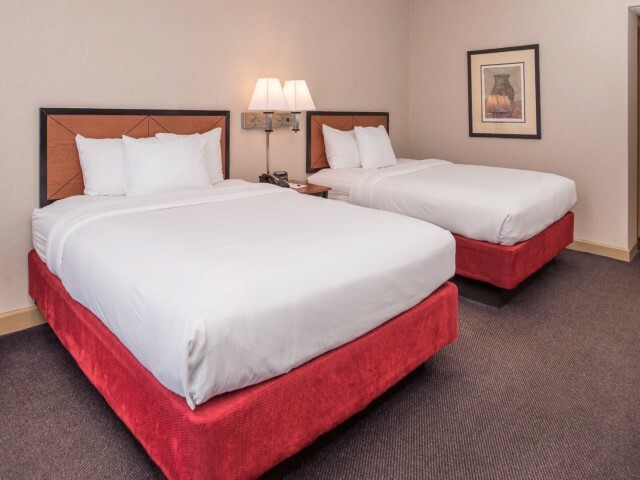 Our hot tub suite features a private hot tub and is equipped with a with flat screen TV with premium cable channels, complimentary WiFi, climate control, a microwave and refrigerator, a table, an alarm clock, room safe, an iron, a private bathroom fitted with a hairdryer and complimentary toiletries. 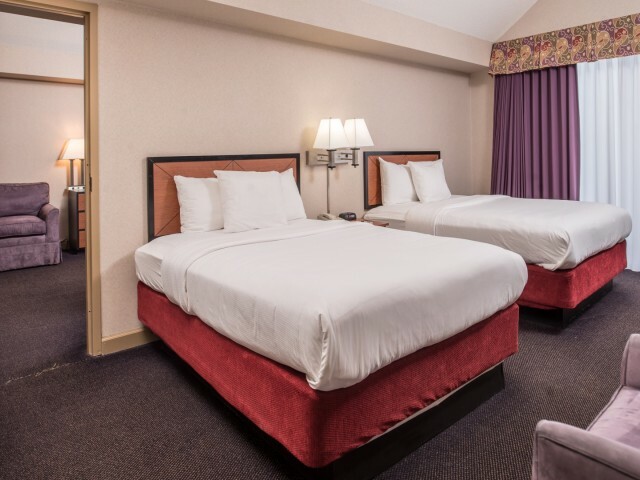 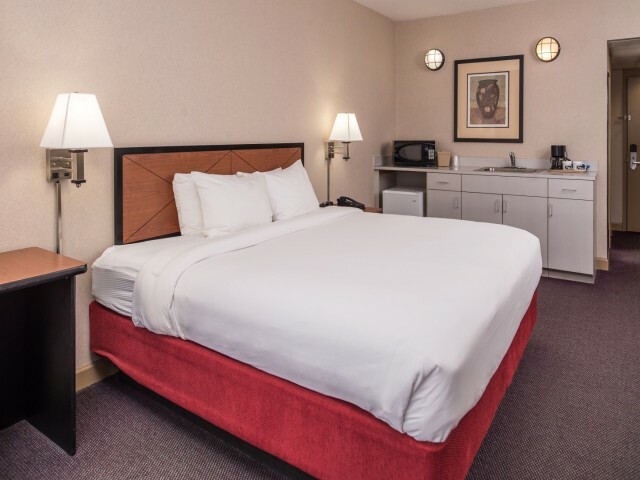 Our accessible 2 queen bed non-smoking suite is perfect for guests needing a larger room with mobility access and a kitchenette. 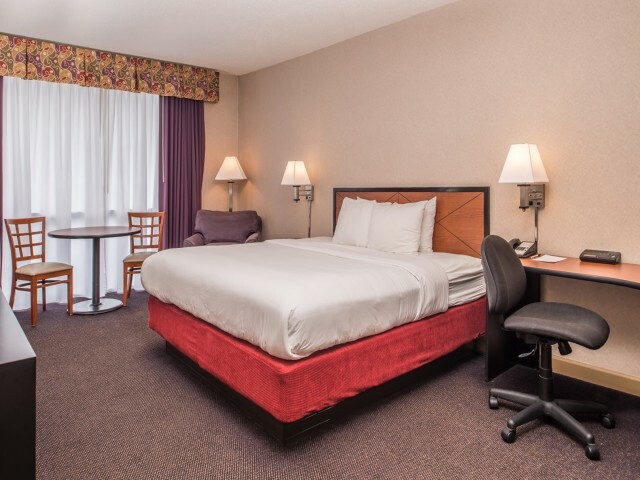 This room can comfortably accommodate up to 6 guests and is equipped with a sofa sleeper, a flat screen TV with premium cable channels, complimentary WiFi, climate control, a microwave and refrigerator, a table, an alarm clock, room safe, an iron, a private bathroom fitted with a hairdryer and complimentary toiletries.